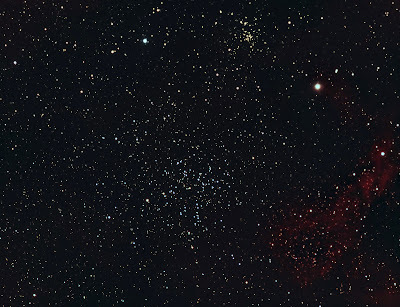 M38 or NGC 1912 is an open cluster in a busy region of Auriga.The smaller cluster, NGC 1907 is older and may have arisen from a different part of the galaxy. 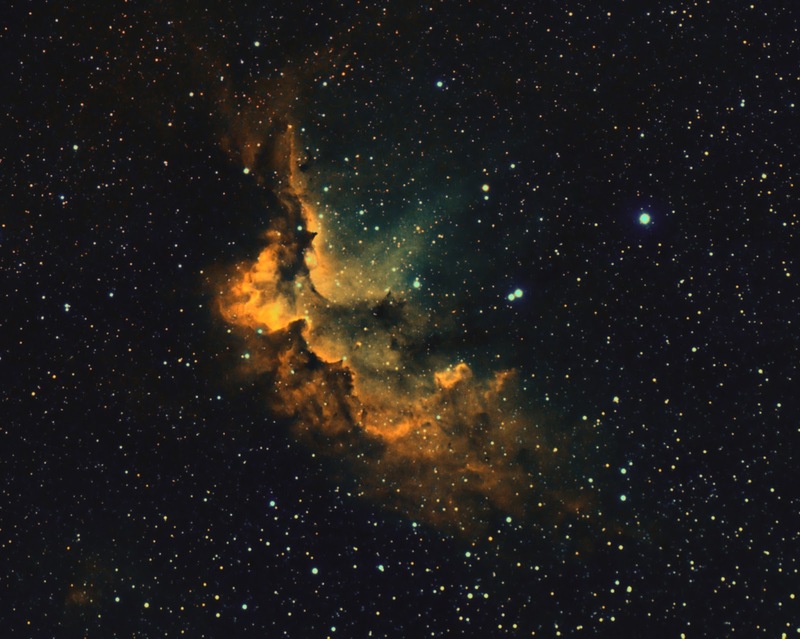 L12x300s,RGB 6x300s each, Ha 6x600s exposures with the Sx Trius 694/Takahashi 106 combination. 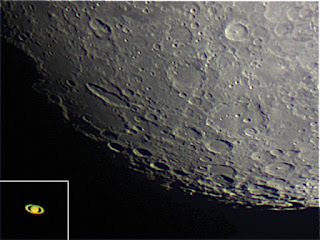 Light frames were stacked and calibrated with flats in AstroArt with further processing in PhotoShop. I was out experimenting with a DSLR attached to my RC recently and was browsing DSOs high in the sky. On top of the RC I have a camera with a 135mm SLR lens to act as a viewfinder because I find it very difficult to look through the rather-small, straight-through finder on the 'scope. 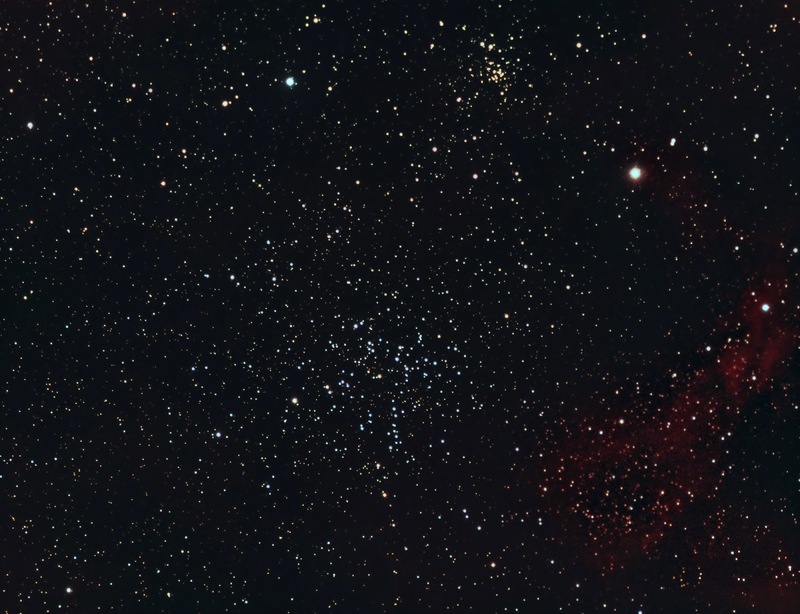 I realised I could use it to image Kemble's Cascade "a beautiful cascade of faint stars tumbling from the northwest down to the open cluster NGC 1502". This gives a larger view than I has done previously. Here is a reduced-size image, the full sized one can be seen here, on my web site. I have tried to bring out the colours with some success. I am told this cascade is clearly visible in binoculars, but I've not seen it myself. It is in Camelopardalis, about 6° from Alpha. 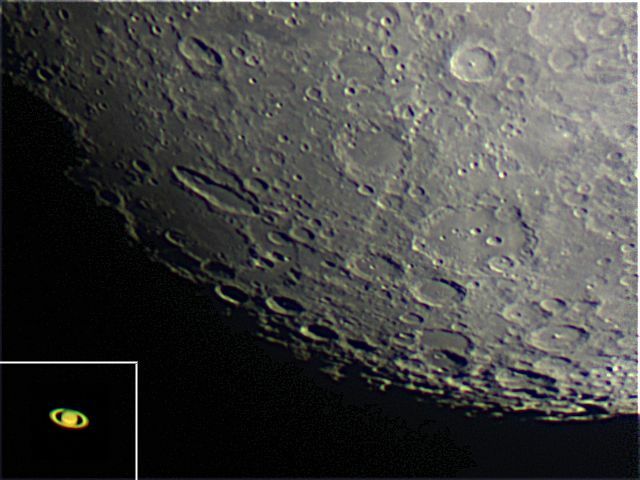 The picture is a mosaic of three taken with an Imaging Source DFK 21AF04 colour camera fitted with a 135 mm SLR lens operating at f/4, mounted on an iOptron iEQ45 Pro mount. The exposure was 27 seconds. The background of one picture was slightly lighter than the others, so I darkened it to match, then constructed the mosaic using iMerge. The final image was darkened again to remove the remaining background and the colour saturation increased by 30%. 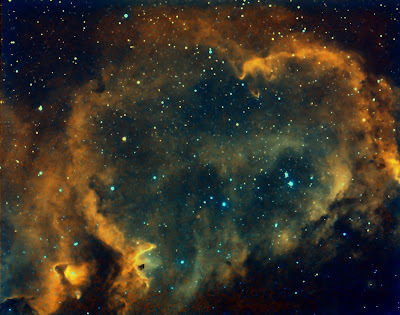 The Soul Nebula is an emission nebula in Cassiopeia.The object is named after the small open cluster I.C.1848 embedded within its body. 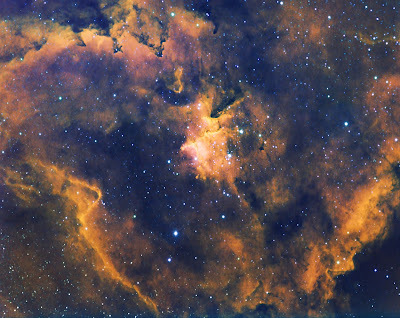 The large cavities are carved out by radiation and stellar winds from the region's massive stars. 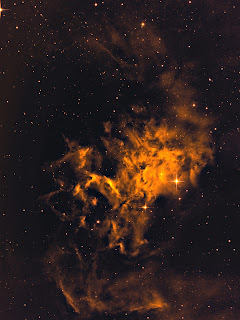 Regions where gases are pushed together are thought to be the source of star formation. 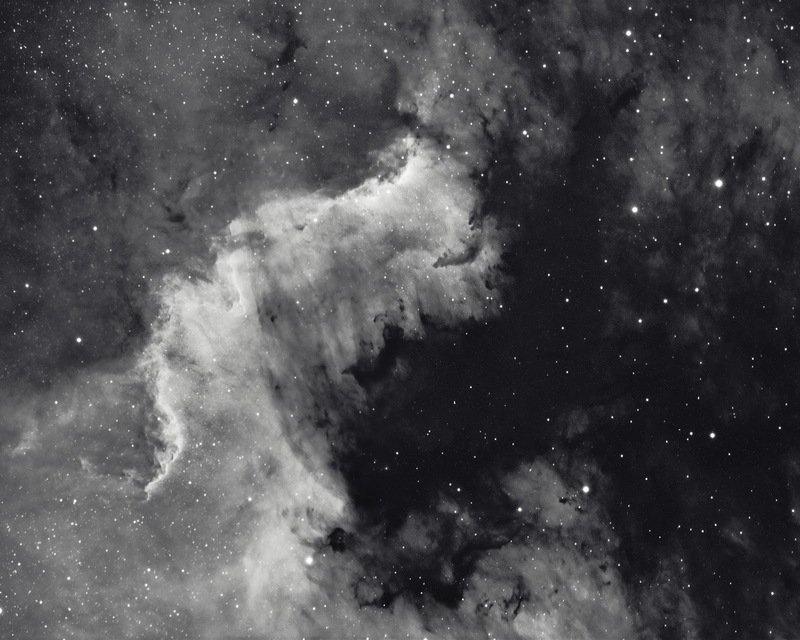 The Cygnus Wall part of the North America Nebula was photographed from Kelling Heath using a SX Trius 694 camera with a Ha filter attached to a Takahashi 106 refractor on a NEQ6 pro mount.12x600s exposures were acquired in Nebulosity, stacked in AstroArt and processed in PhotoShop. This was a useful exercise in setting up equipment in the field. At a distance of 6000 light years this cloud of energized hydrogen gas glowing in the shape of a heart in Cassiopeia is too extensive to be fully captured with the Trius/Takahashi 106 combination. Ha 12x600s,S11 6x600s and O111 8x600s filters were used assigned to green red and blue channels. 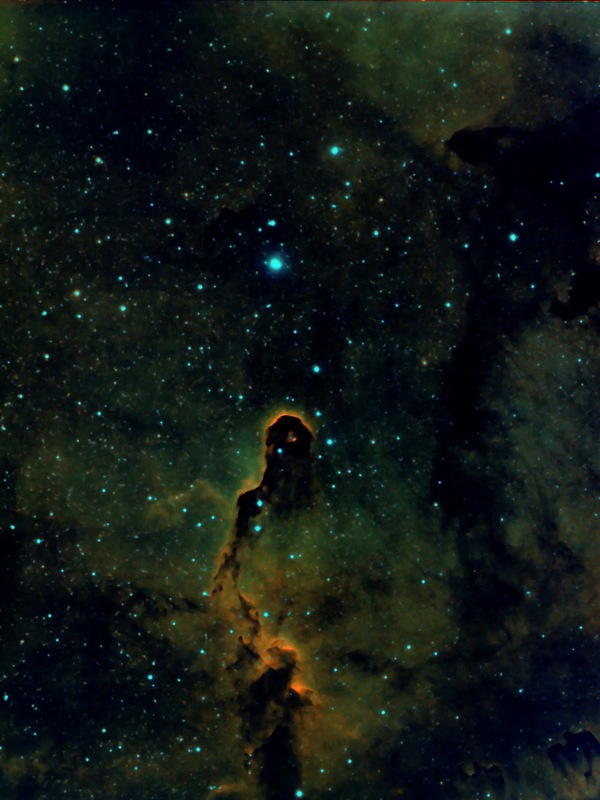 The Fish Head Nebula in Cassiopeia lies next to the Heart Nebula. 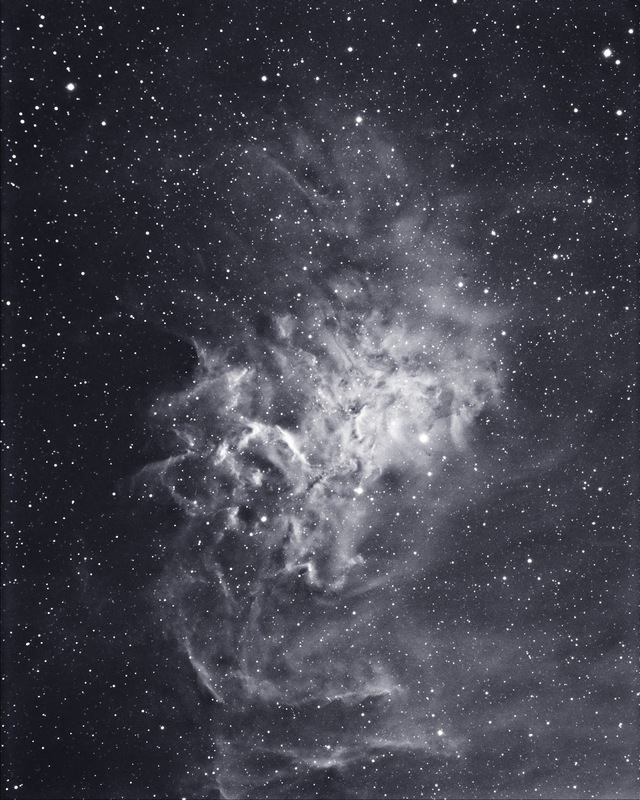 For the image Ha,S11 and O111 filters on a SX Trius 694 mono camera were connected to a Takahashi 106 refractor over a period of 4 and 1/2 hours last night. 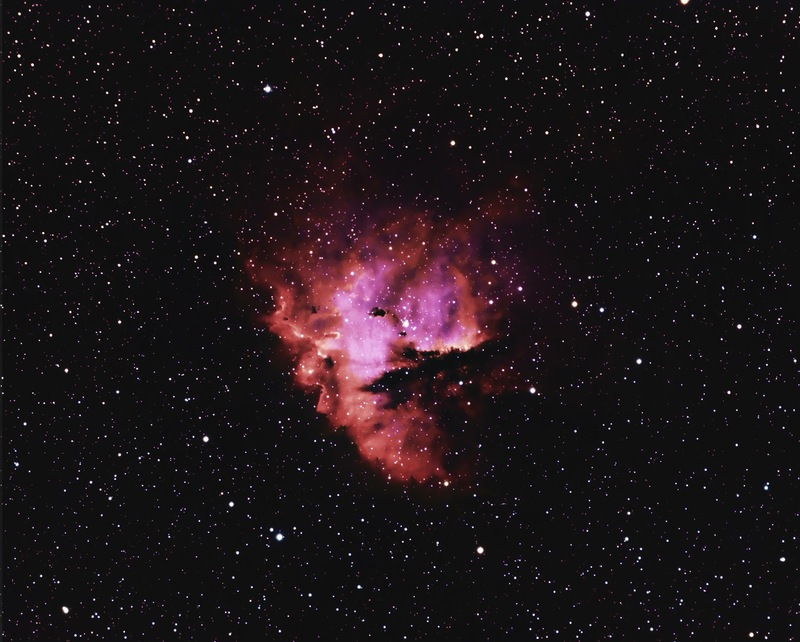 This is an emission nebula spanning about 70 light years across approximately 6000 light years away. The Elephant's Trunk nebula is a concentration of interstellar gas and dust within a larger ionized gas region I.C.1396 in Cepheus.In the bright moonlight narrowband filters were considered appropriate,12x600sHa,6x600sO111 and 6x600sS11 using the Hubble palette.The telescope was a Takahashi 106,camera a SX Trius 694,guided with an OAG and Lodestar, location Hatfield Woodhouse. I have been trying out with the Society's LDX55-AR6 refractor which the Society wishes to sell. I have got the system working enough to try it out under the stars. I took these pictures of the Moon and Saturn last night in less-than-perfect conditions, although I am quite pleased with the final results. 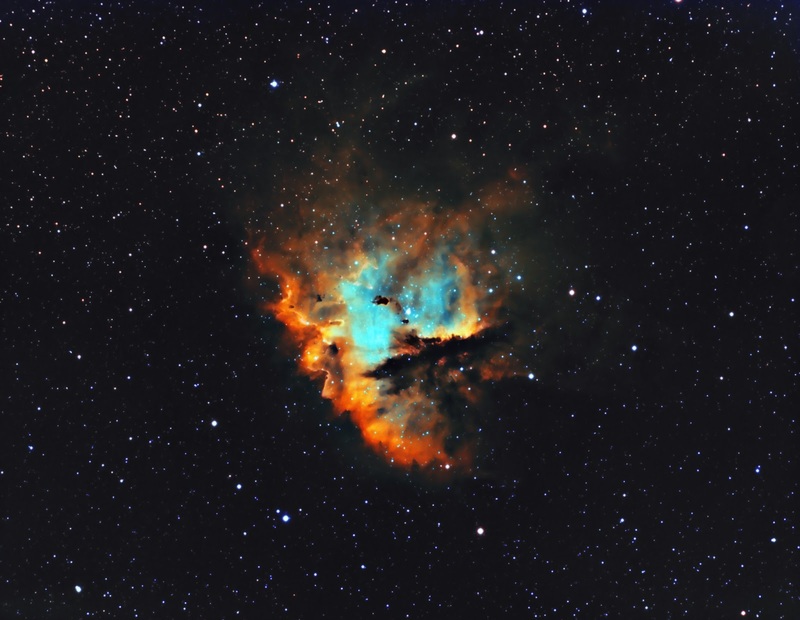 Both pictures were taken with the same camera at prime focus of the telescope. 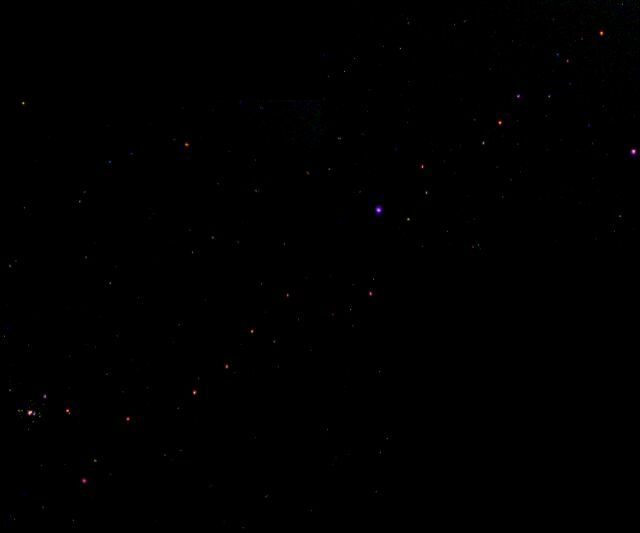 I have pasted the picture of Saturn onto that of the Moon to illustrate their relative sizes in the sky. 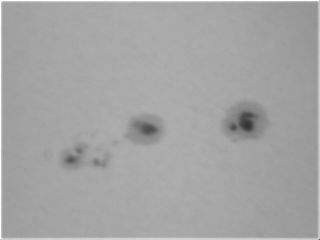 Solar activity is diminishing in its 11-year cycle, but there have been a few nice spots recently and I have used them to try out the Society's 6-inch refractor. 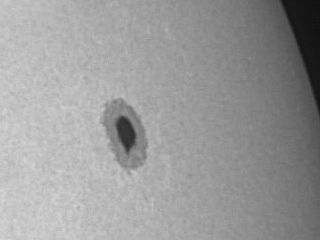 There was a nice single spot at the end of May and the AR-6 gave me a nice picture once I tried using a narrow-band filter with it. Then more recently there has been a nice set of three spots. 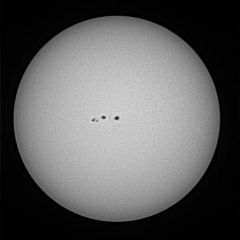 Here firstly are whole-Sun pictures taken with a 270-mm SLR lens in white light. 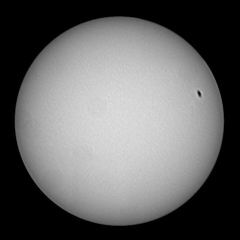 The here are close-up pictures firstly of 12546 taken with the AR-6 refractor and an OIII filter. Sadly this last is not as good as I would expect. Maybe seeing conditions were worse than they appeared to be. 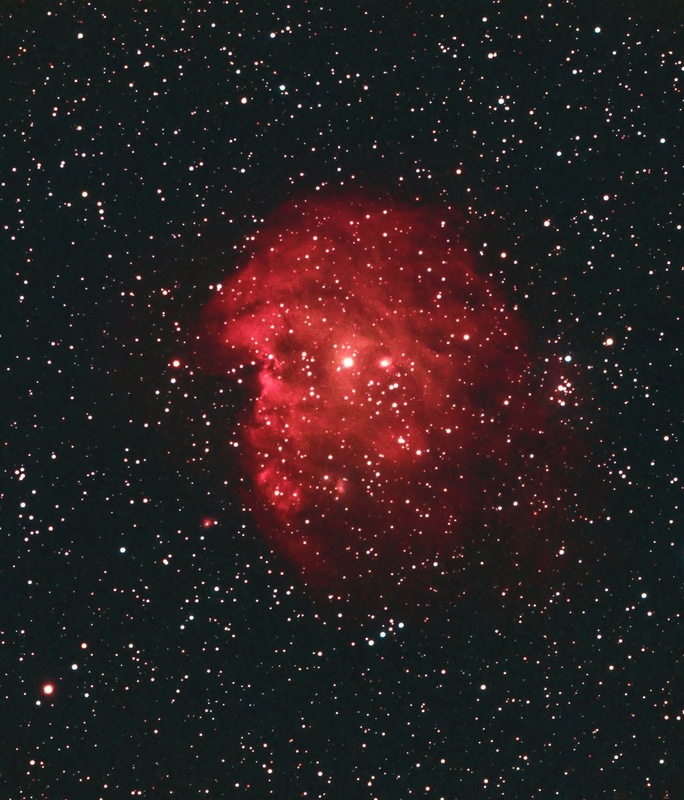 19 x 300 sec at ISO 800..
For this image I used Ha,O111 and S11 filters on my usual kit,namely a SX Trius 694 camera on a Takahashi 106 refractor. 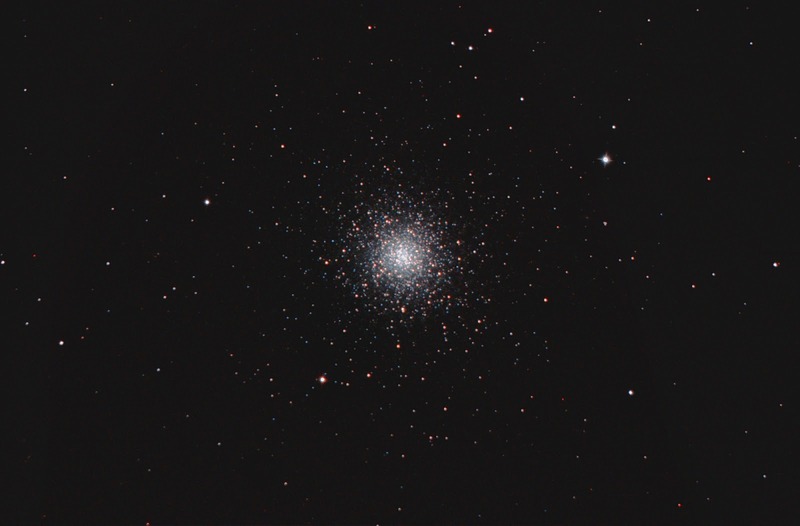 Exposures,100m,60m and 50m were not really adequate for this target at this time of year so, using some magic from RegiStar, I incorporate data from a DSLR image taken in 2014.This did not improve detail, but may have given added depth to the picture. NGC 7380 is an open cluster surrounded by the nebula in Cepheus discovered by Caroline Herschel in 1787.
with a Baader white light filter and an iPhone!! 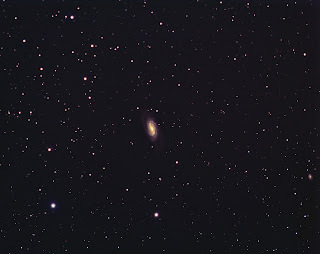 M82 is a starburst galaxy in the constellation Ursa Major. 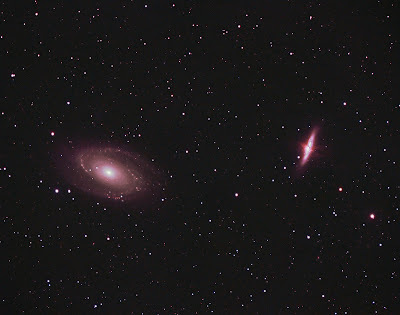 The starburst activity is thought to have been induced by the proximity of the larger neighbouring galaxy M81.The bipolar outflow is fuelled by energy released by supernovae within clumps of very active, high surface brightness regions at the starburst core. 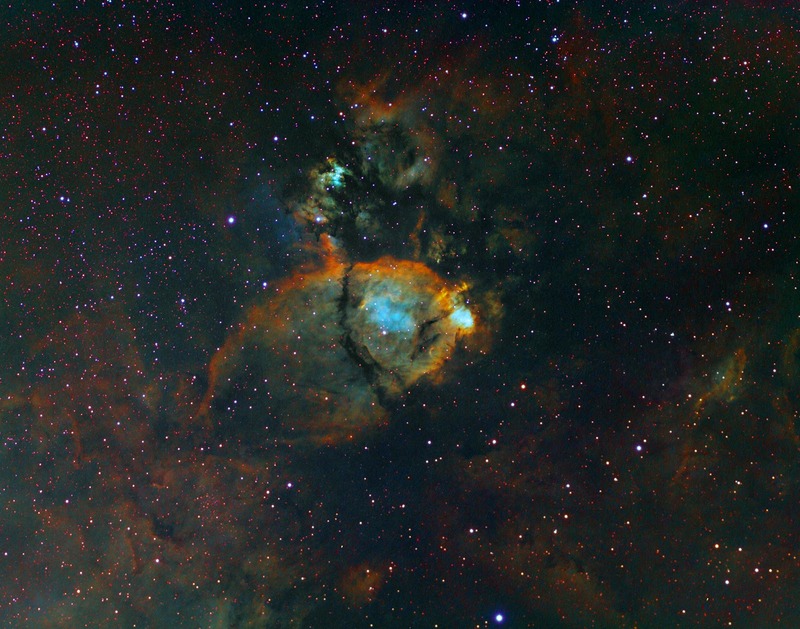 There is no sign of the supernova seen in January 2014.
uv filter as luminosity and to 5x300s red filter then combined with 4x300s green and 3x300s blue filters. Acquired in Nebulosity, stacked with flats the results were processed in Photoshop. 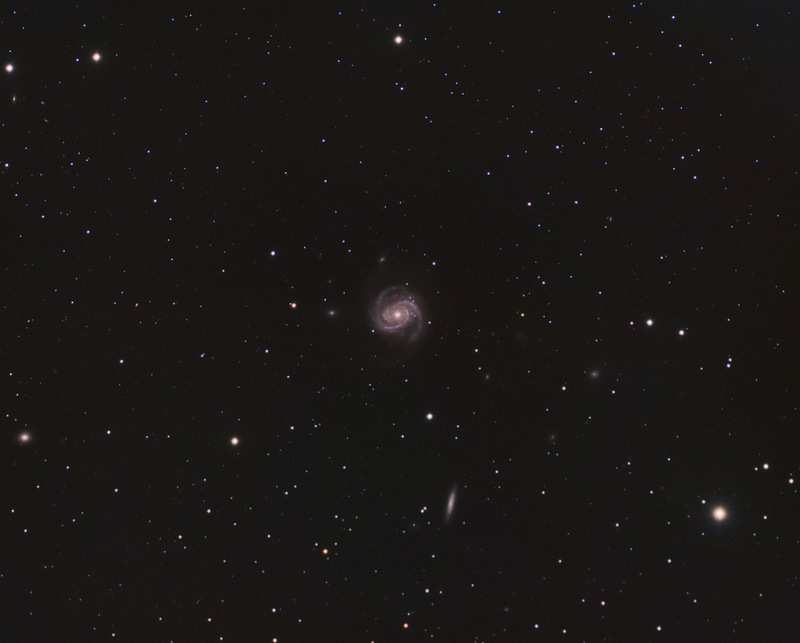 M100, a member of the Virgo Cluster of Galaxies, is found in Coma Berenices and is some 50 million light years away. 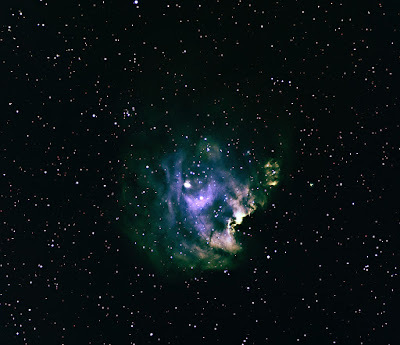 It is surrounded by smaller dwarf galaxies. 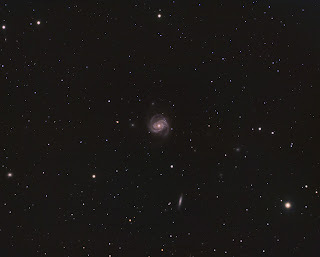 Within the frame is the end-on spiral galaxy NGC4321 as well as other faint background galaxies. 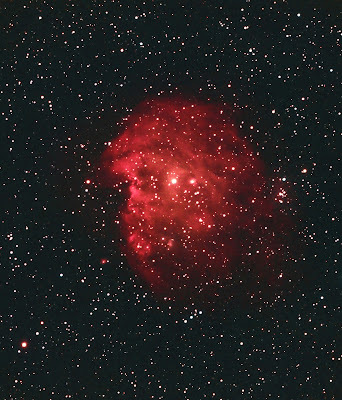 The LRGB image was taken with a SX Trius 694 camera on a Takahashi 106 refractor. Exposures were L 23x300s R, G, and B 9x300s each, captured in Nebulosity ,stacked with flats in AstroArt and finally modified in Photoshop. 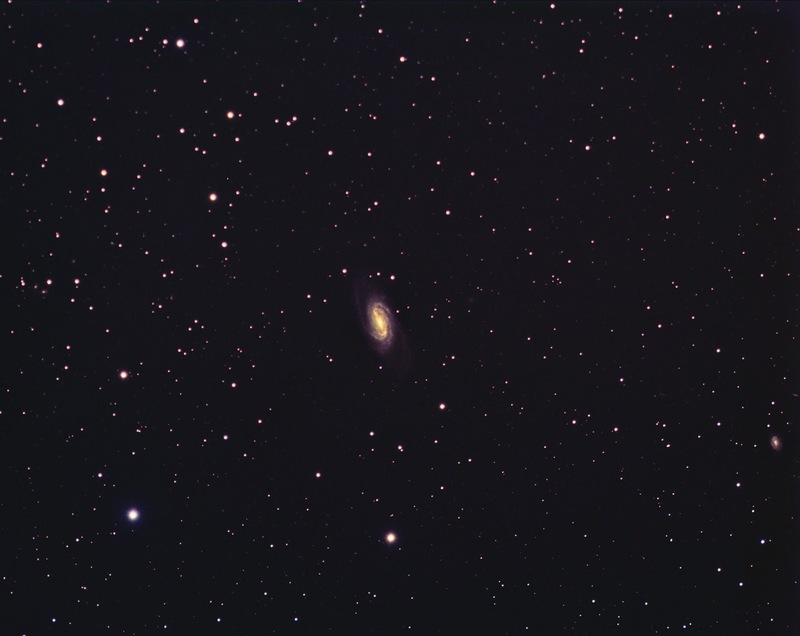 NGC 2903 is a barred spiral galaxy about 30 million light years away in Leo discovered by William Herschel in 1784.Close inspection shows a number of fainter galaxies within the frame.The camera used was a SX Trius 694 on a Takahashi 106 refractor. Exposures were L 155m,R G and B filters 35m. 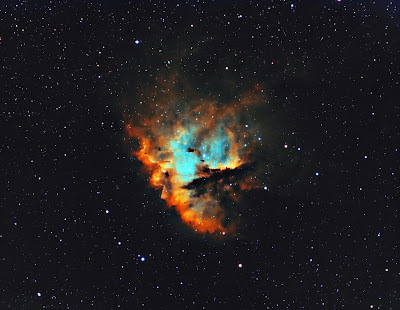 each ,captured in Nebulosity pre-processed in AstroArt with final adjustments in Photoshop. 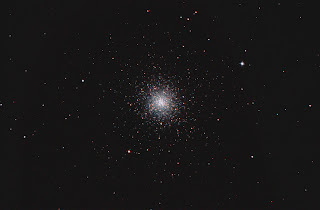 This globular is almost as big on the sky as M13 and a delight to observe visually, as well as to photograph. 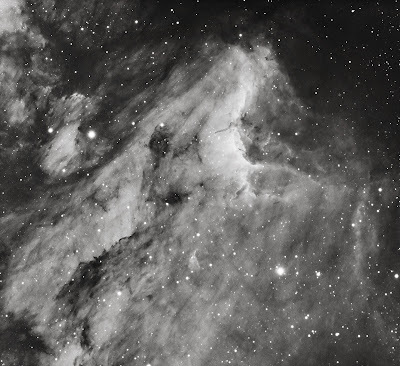 Taken in April 2015 from Austerfield with the ODK12 and an M25C in a series of 60sec frames unguided. This was during the setting up of the ODK, so not a bad overall result looking back on the log. 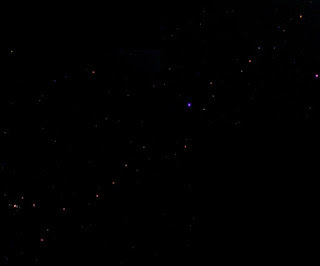 A re-processing of the subject to favour the colouring of the stars, in Photoshop. No flats or other calibration used. 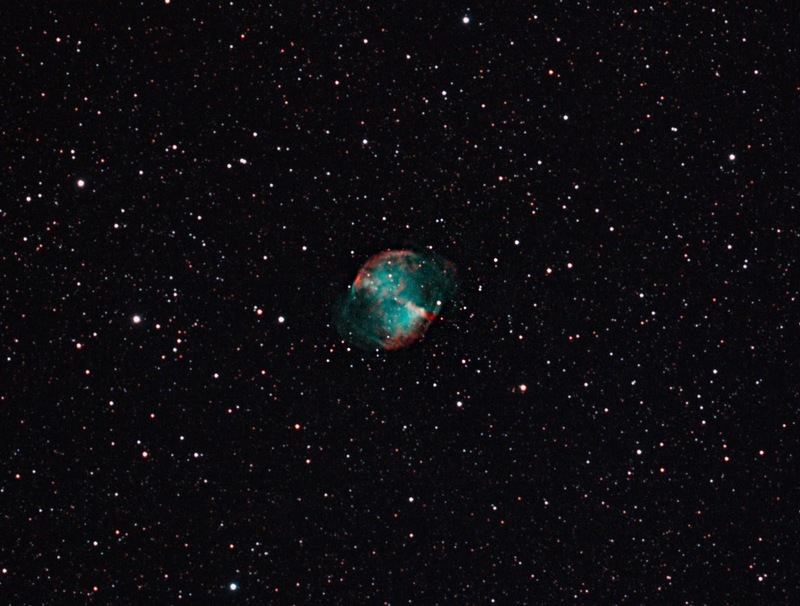 10 x 300 sec at ISO 800.. 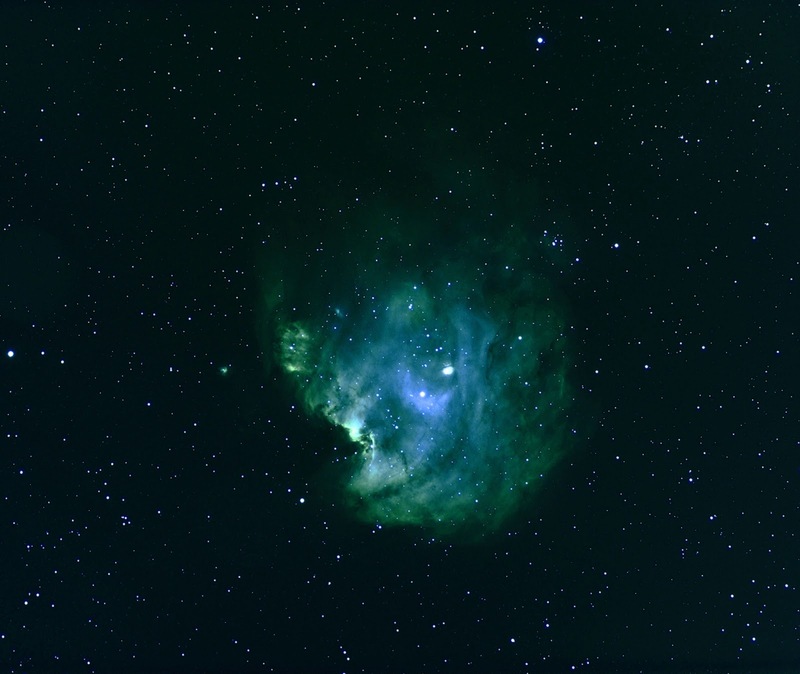 This version of the Monkey Head Nebula was taken on 1.1.16 with a SE Trius 694 camera on a Takahashi 106 refractor, 12x600s Ha, 6x600s 0III and 7x600s SII filters. 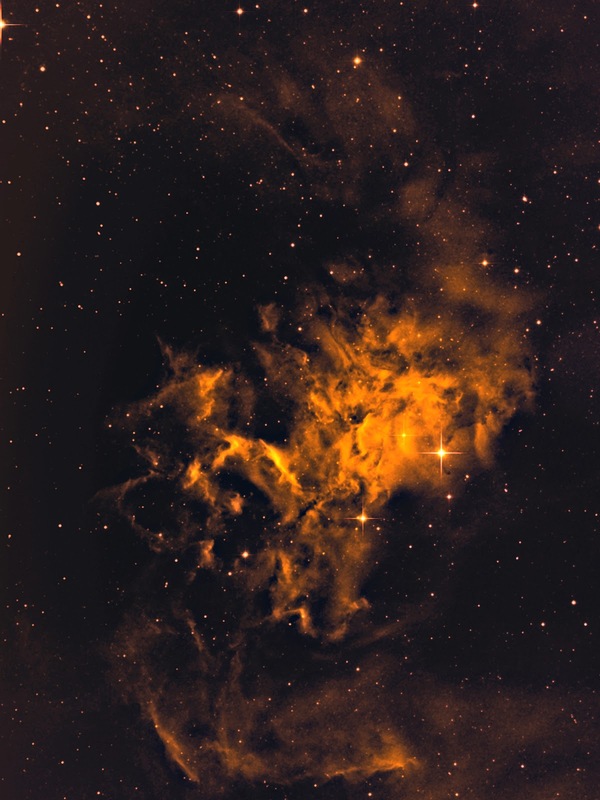 These images of the Flaming Star Nebula in Auriga were taken on 21.12.15 using an SX Trius 694 camera with a Baader 7nm Ha filter on a Takahashi FSQ 106 refractor.10x600s exposures were captured in Nebulosity, stacked and pre-processed in AstroArt then finished off in Photoshop for the monochrome version. 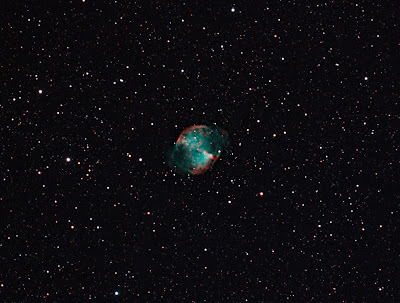 Using7x600s exposures with an 0111 filter and 6x600s with a S11 filter some colour was added, again in Photoshop.